First Public Show – backstage! On December 11, 2010 Samahang Ala Eh! a non profit organization hosted a Variety Show entitled “IBA’T-IBANG KILOS, ISANG LAYUNIN. This fundraising event was held at the Bronson Centre Theatre, 211 Bronson Ave., Ottawa, ON, on Saturday, December 11, 2010 in support of their commitment to assist and motivate a financially challenged group of students in their hometown of Batangas in the Philippines, by giving them the opportunity to complete a high school education. 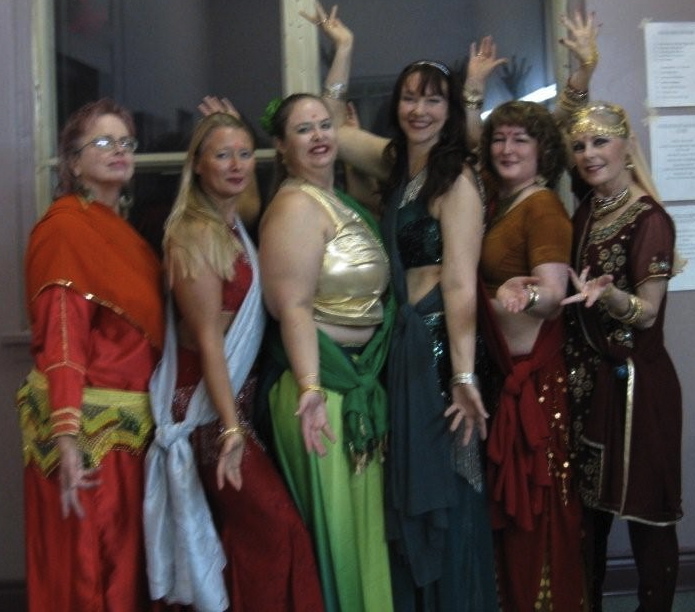 Bellywood with Halyma was invited to perform as part of the evening’s entertainment and I was so pleased that 5 of my students from our first session ever were willing to join me on stage that evening!